As best as I can tell almost no one in Unity knows about Temple Talks, a series of books published in 1912 by the Unity Tract Society. They don’t show up in a Google search. They aren’t listed in the Chronological Order of Charles Fillmore Books (they would rank #2 if they were). 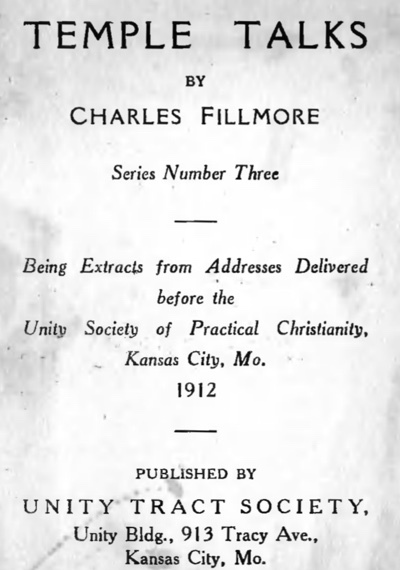 They also are not included in the Index of Charles Fillmore’s Writings, even though the index does include Talks on Truth, a similar book published in 1926. 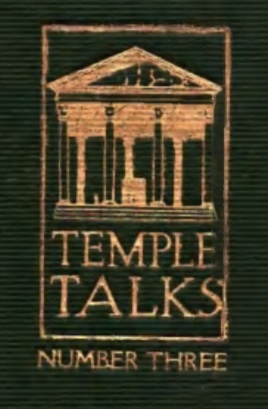 Temple Talks—Extracts From Addresses Delivered before the Unity Society of Practical Christianity, Kansas City, Mo. is a series of five books published in 1912. They are in the Unity Archives and they do appear in the online Unity Archives catalog. But until they were sent to me a few months ago, I had never heard of them. The 22 talks by Charles Fillmore that are found in series two and series three are now available here, freely accessible to Google and you and I and everyone else. Here is how they got here. See the graphic shown here? 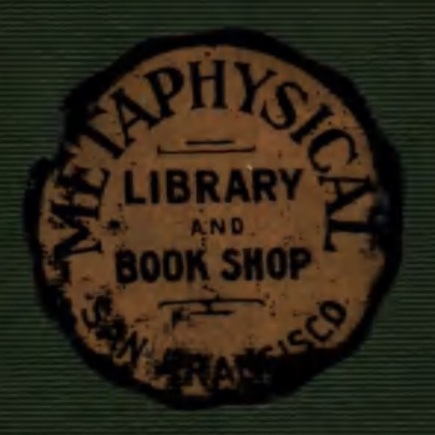 The one that says "Metaphysical Library and Bookshop San Francisco." This graphic was got from one of the books that made their way from Kansas City to the San Francisco bookshop in 1912. These books eventually wound up in the library of Unity of Roseville. Earlier this year, they were lent to Rev. Larry and Paula Schneider, well known teachers in Minden/Gardnerville Nevada. Larry and Paula enjoyed them so much that Paula scanned them before returning the books to Unity of Roseville. Paula then sent me the scanned images to share with you. My favorite talk is "Let Christ Be Formed In You." The opening paragraph of this talk has all the foundational themes of metaphysical teaching: principle, expression, Christ, consciousness, mastery. There is a principle in man which, if called into expression, will make him far, far above the average. The Scriptures teach very positively that this principle can be developed or formed in man. “Christ in you the hope of glory.” If this principle can be called into expression in us, our most devout prayer should be for that consummation, to the end that we may realize our ideals. Then let us begin right now the development of the Christ principle. Let the Christ in you arrive. Let this Supreme One take the mastery. “Christ in me my hope of glory,” is a good affirmation for one who desires to enter into the Christ consciousness. Thank you Paula and Larry. 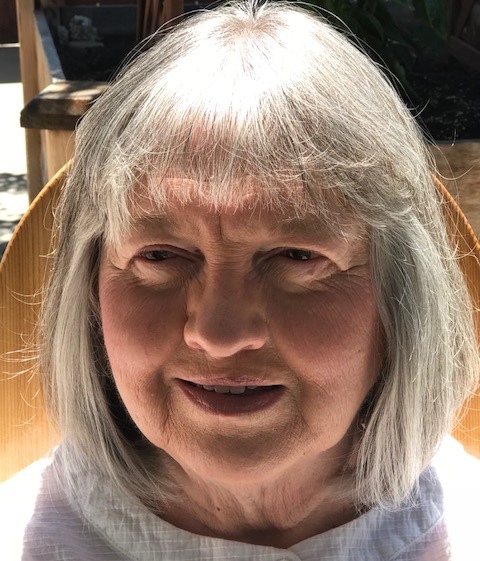 Thank you, Paula Schneider, for scanning and sharing Temple Talks Series Two and Three.